The designer behind JmB Silver is Juliette "Jules" Beaumont. She lives with her husband, daughter and Florence the labrador on the Kent coast, in a town called Herne Bay. After 22 years as a nurse in the NHS, Jules decided it was time for a career change. As she had always enjoyed creating things, Jules retrained as a silversmith and jewellery designer, gaining a Diploma in Silver Jewellery at the London Jewellery School in Hatton Garden, London. 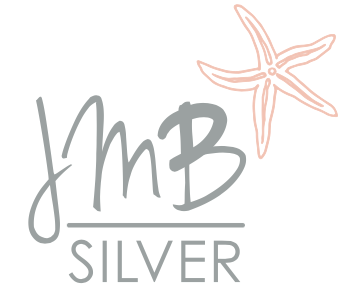 In October 2017 Jules launched her own business, JmB Silver. The inspiration for JmB Silver jewellery comes from nature and, in particular, the sea. Jules often uses sea glass, collected on the beach at Herne Bay, on the island of Sark or elsewhere on her travels. Another inspiration is the little island of Sark in the Channel Islands, a stunning place with beautiful beaches. And, last but not least, there's the beauty of silver itself. Smooth or subtly textured. Wrapping sea glass in a firm but graceful embrace. Or encircling wrists, fingers and necks with beautifully designed rings, bangles and pendants. Silver and sea glass to fall in love with – forever. 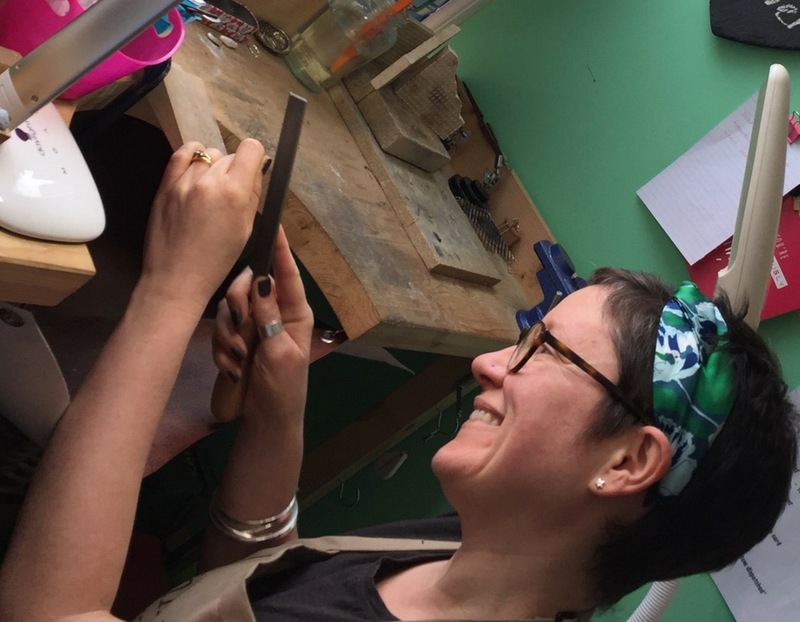 Follow Jules on Instagram and JmBSilver on Facebook, where you'll find her in her workshop, making the pieces for sale on this website and at various stockists. Welcome to the studio!